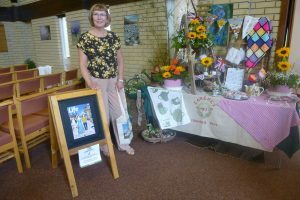 St. Barnabas Church Langney held a flower festival on July 2nd/3rd where President Val Attwood created the WI’s arrangement. She was helped by her daughter Justina Greenwood who is also a member of Langney WI. 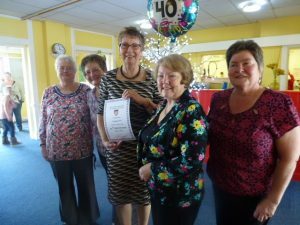 Presentation of 40th Certificate at celebration Tea Party. L to R in picture Margaret Vizor, Gill Crowhurst, Val Attwood, County Chairman Kathryn Hutson and Lynn Cole.